City workers keep sidewalks clear in front of Delaware City Hall as the snow came down Tuesday afternoon on the corner of Sandusky and William streets. After many hours of assembling, wrapping and bagging groceries, the volunteers of People In Need stood at the ready Sunday as families came to pick up their Christmas items. Standing between the tables of full grocery bags were Olentangy Orange High School students waiting to help carry packages out. As Santa and Mrs. Claus’ carriage passed by Clarissa Russell’s home on Sandusky Street she waved to them with a wide-eyed wonderful delight from her front row seat inside the warm house. As the horse-drawn carriage approached, it revealed a red-gloved hand waving out to the youngsters. 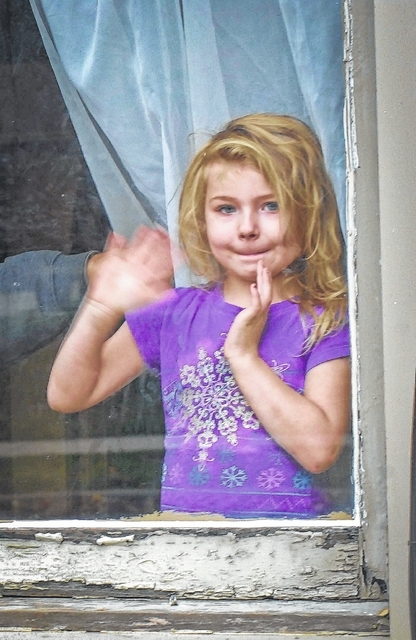 The young eyes began to widen as they realized that Santa and Mrs. Claus were the ones waving back at them from inside. Dominic DiPietro likes to eat cotton candy by the hand full. Hope Wyatt sticks her tongue out while eating an ice cream cone. 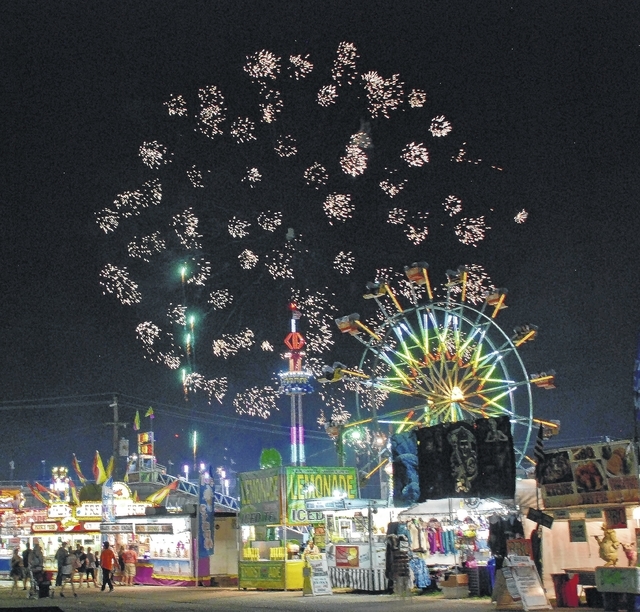 The last night of the Delaware County Fair was capped off with spectacular fireworks display. Luciano Cordi found the ducks in the pool along the midway of the Delaware County Fair to be just within his reach. John Gradwohl Jr. wanders around the fairgrounds performing as Professor Phineas T. Bubblemaker amazing kids by making bubbles of all sizes for them to chase and pop. The midway takes on a new look once the sun set on the Delaware County Fair. Addison Lamneck gives her brother Grant pointers on her special technique of tossing rings at the ring toss booth Tuesday afternoon at the Delaware County Fair. 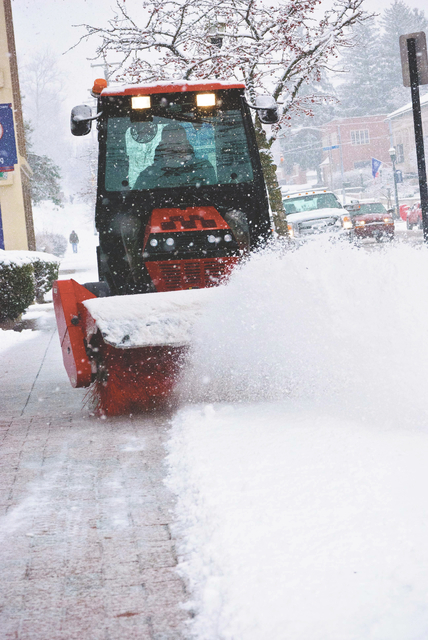 https://www.delgazette.com/wp-content/uploads/sites/40/2018/06/web1_DSC_0522.jpgCity workers keep sidewalks clear in front of Delaware City Hall as the snow came down Tuesday afternoon on the corner of Sandusky and William streets. 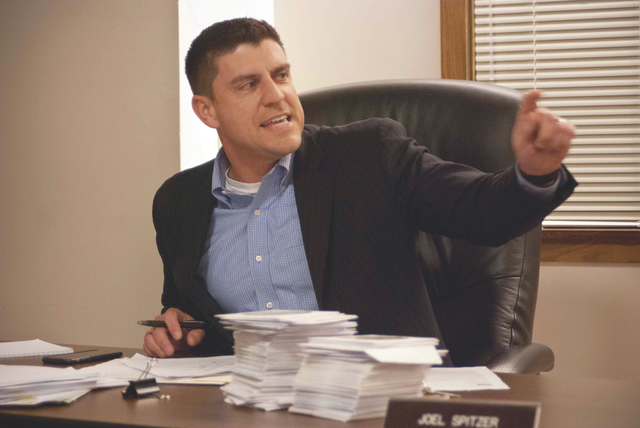 https://www.delgazette.com/wp-content/uploads/sites/40/2018/06/web1_DSC_0465F.jpgAfter many hours of assembling, wrapping and bagging groceries, the volunteers of People In Need stood at the ready Sunday as families came to pick up their Christmas items. 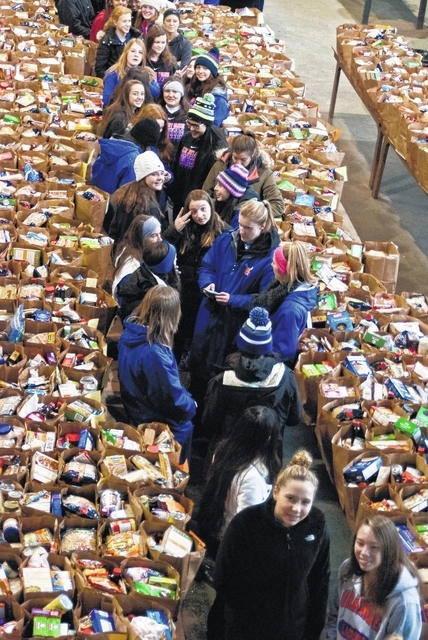 Standing between the tables of full grocery bags were Olentangy Orange High School students waiting to help carry packages out. 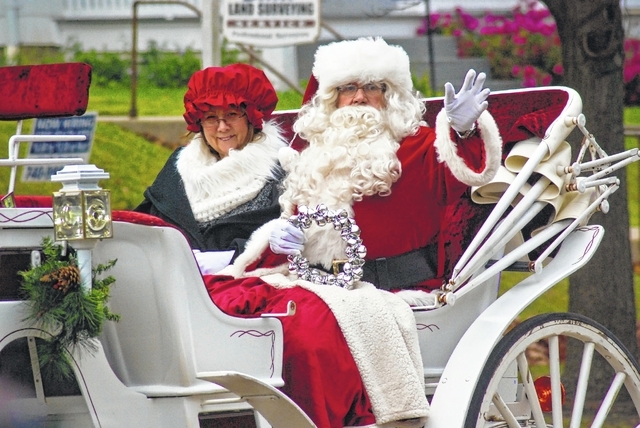 https://www.delgazette.com/wp-content/uploads/sites/40/2018/06/web1_DSC_9931_F.jpgAs Santa and Mrs. Claus’ carriage passed by Clarissa Russell’s home on Sandusky Street she waved to them with a wide-eyed wonderful delight from her front row seat inside the warm house. https://www.delgazette.com/wp-content/uploads/sites/40/2018/06/web1_DSC_9922_F.jpgAs the horse-drawn carriage approached, it revealed a red-gloved hand waving out to the youngsters. The young eyes began to widen as they realized that Santa and Mrs. Claus were the ones waving back at them from inside. 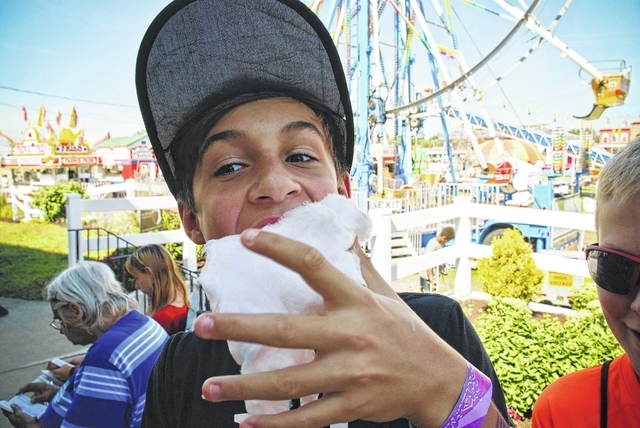 https://www.delgazette.com/wp-content/uploads/sites/40/2018/06/web1_DSC_6438F.jpgDominic DiPietro likes to eat cotton candy by the hand full. 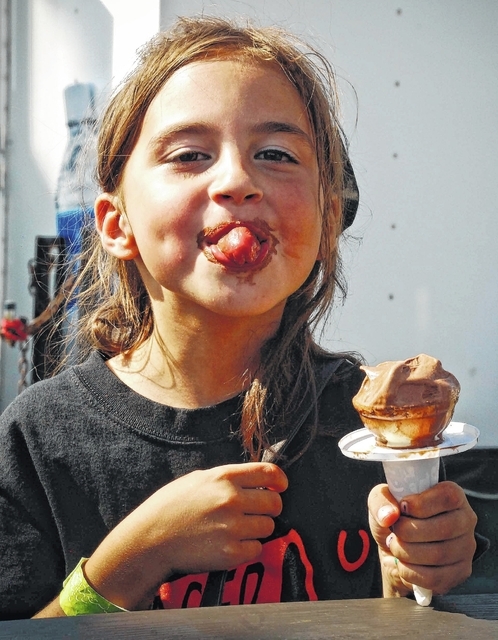 https://www.delgazette.com/wp-content/uploads/sites/40/2018/06/web1_DSC_7152F.jpgHope Wyatt sticks her tongue out while eating an ice cream cone. https://www.delgazette.com/wp-content/uploads/sites/40/2018/06/web1_DSC_7466F.jpgThe last night of the Delaware County Fair was capped off with spectacular fireworks display. 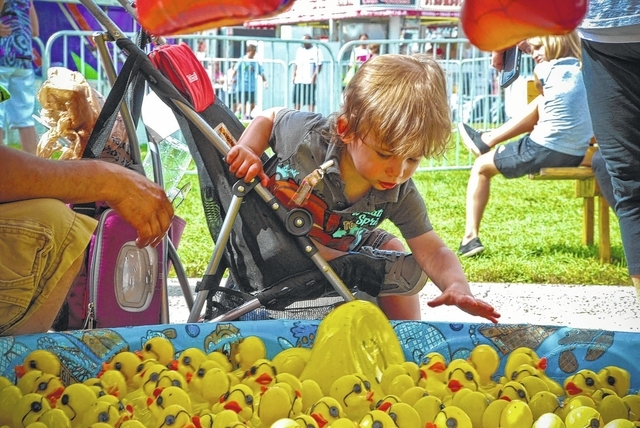 https://www.delgazette.com/wp-content/uploads/sites/40/2018/06/web1_DSC_5295F.jpgLuciano Cordi found the ducks in the pool along the midway of the Delaware County Fair to be just within his reach. 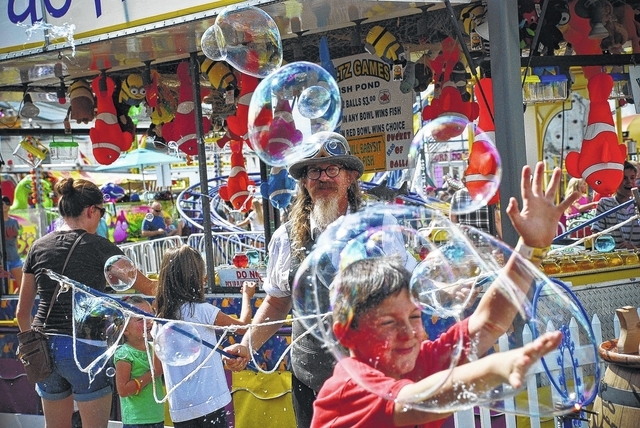 https://www.delgazette.com/wp-content/uploads/sites/40/2018/06/web1_DSC_5321F.jpgJohn Gradwohl Jr. wanders around the fairgrounds performing as Professor Phineas T. Bubblemaker amazing kids by making bubbles of all sizes for them to chase and pop. 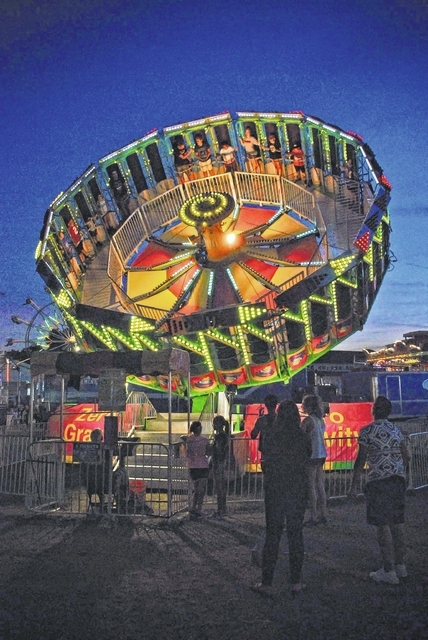 https://www.delgazette.com/wp-content/uploads/sites/40/2018/06/web1_DSC_6954F.jpgThe midway takes on a new look once the sun set on the Delaware County Fair. 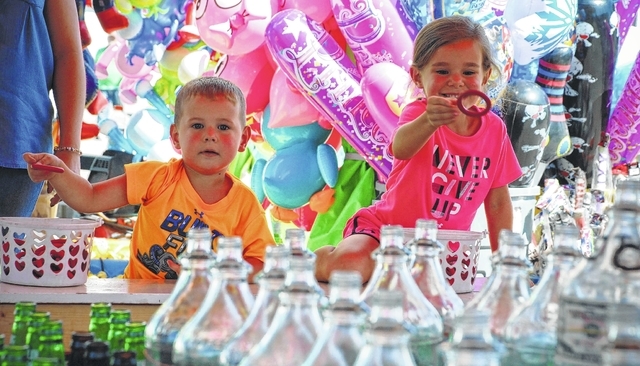 https://www.delgazette.com/wp-content/uploads/sites/40/2018/06/web1_DSC_5850F.jpgAddison Lamneck gives her brother Grant pointers on her special technique of tossing rings at the ring toss booth Tuesday afternoon at the Delaware County Fair.